ARCHAEOLOGICAL AND GEOMORPHOLOGICAL INVESTIGATIONS AT THE UPPER RIDGE SITE (44NH440) ON MOCKHORN ISLAND IN NORTHAMPTON COUNTY, VIRGINIA. 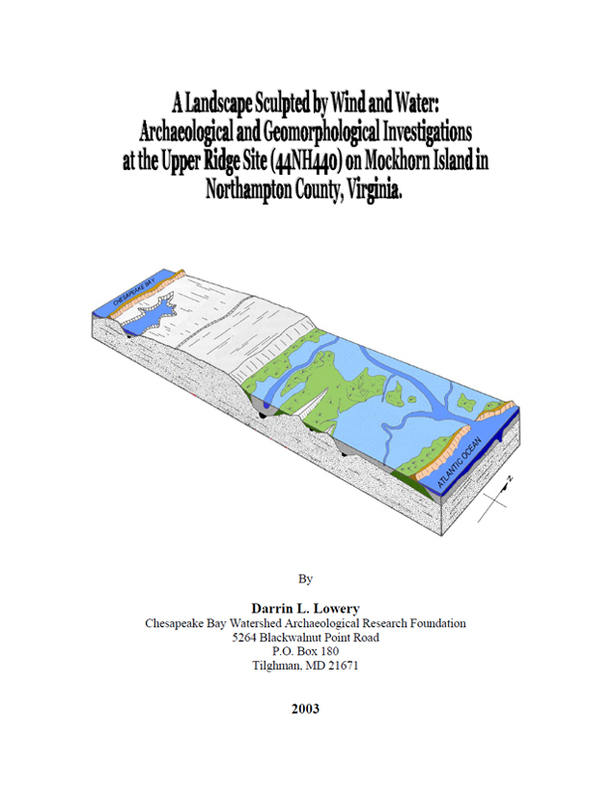 A LANDSCAPE SCULPTED BY WIND AND WATER: ADDITIONAL ARCHAEOLOGICAL AND GEOMORPHOLOGICAL INVESTIGATIONS ON MOCKHORN ISLAND IN NORTHAMPTON COUNTY, VIRGINIA. 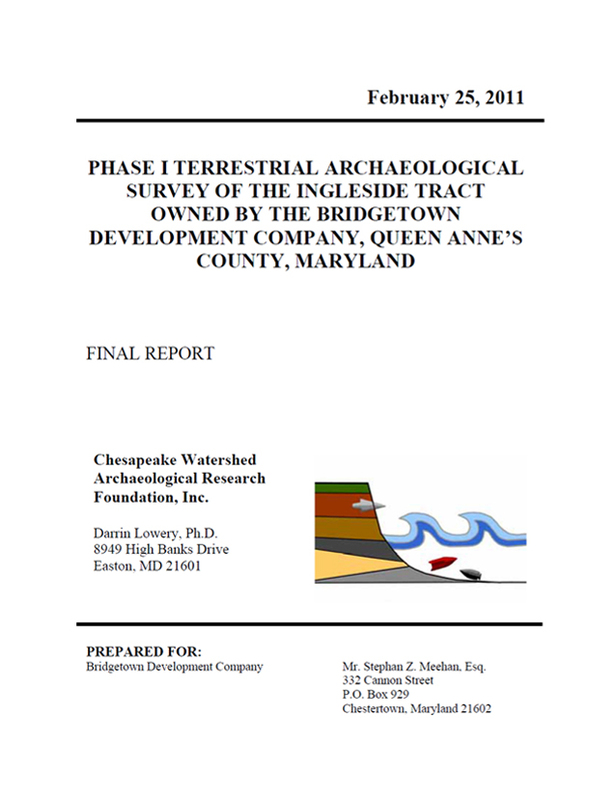 PHASE I TERRESTRIAL ARCHAEOLOGICAL SURVEY OF THE INGLESIDE TRACT OWNED BY THE BRIDGETOWN DEVELOPMENT COMPANY, QUEEN ANNE’S COUNTY, MARYLAND. 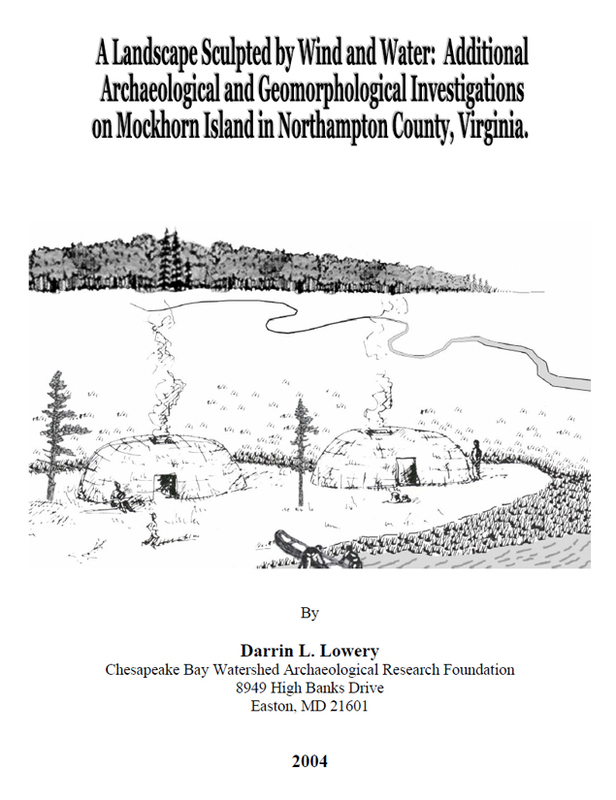 The Chesapeake Watershed Archaeological Research Foundation is a nonprofit, tax-exempt charitable organization under Section 501(c)(3) of the Internal Revenue Code. Copyright © 2017 Chesapeake Watershed Archaeological Research. All Rights Reserved.